Can 50+ Years be The Best Time of Life? Bill isn’t living without obstacles. 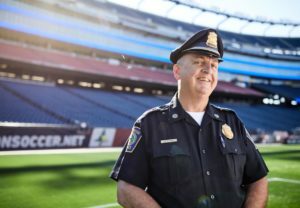 He has experienced a number of orthopedic injuries and health setbacks during his 42-year career in law enforcement in Foxborough, Massachusetts. Mary Eliff, 68, loves living in the Boston area. Barely a week goes by that the Dorchester resident, who is semi-retired, isn’t at one of the many cultural opportunities the city has to offer.